Along with the Sydney Opera House the Sydney Harbour Bridge is one of Sydney’s most iconic, manmade structures. Connecting East and West Sydney the bridge is the world’s largest steel arch bridge. One of the city’s best vantage points the Sydney Harbour bridge provides a splendid view over the Sydney Opera House as well as over Sydney Harbour itself. These views can be taken in by walking across the bridge, or if you’re adventuress, by actually walking, while harnessed, on the very top of the bridge. Whether you decide to take part in the Sydney Habour Bridge Climb or not vistors to Sydney need to budget some time to enjoy this world class bridge. In the urban swirl of Sydney a trip to the 74 acre Royal Botanical Gardens can be a welcome reprieve. Built back in 1816 the Botanical gardens are filled with bright and colourful flora and fauna from all over Australia and the world. The gardens are broken up into 18 different areas that include the Tropical Centre – a greenhouse filled with varied tropical flora – the Succulent Garden – which mimics a desert environment – and the always lovely Palace Rose Garden, which is often used for marriage ceremonies. The gardens are open each day at least between 7 am and 5 pm and often later. 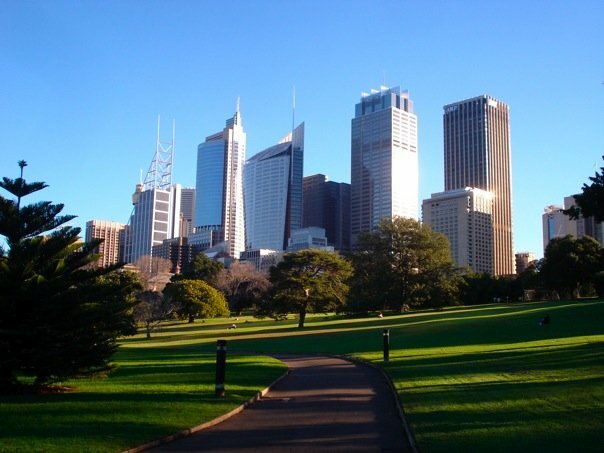 The botanical gardens often have wonderful views over Sydney Habour and the Sydney Opera House. Though Australia is often associated with its unique mammals – Kangaroos and wombats – and insects you can’t forget about all the amazing sea life that is has to offer too. The Sydney Aquarium, located in Darling Harbour, has some fantastic exhibits that will help you become acquainted with our friends below the seas. Perhaps most intriguing, and certainly regional specific, is the aquariums replica of the Great Barrier Reef and the types of sea life that use the reef as their main habitat and food source. Also of note are the varied underwater glass tunnels that allow visitors to get up close and personal with dangerous marine life such as stingrays, sharks and jelly fish. The aquarium is open daily from 9 am till 8 pm and costs $35 Australian for adult tickets.